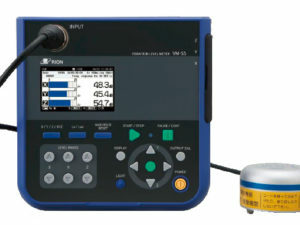 The VA-12 analyzer from Rion is an advanced vibration level meter and frequency analyzer for equipment diagnostic or on-site measurements. 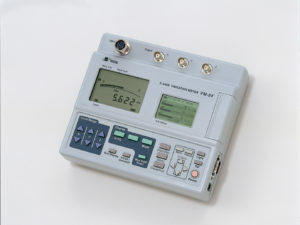 Its large color display makes measurements easy to read in outdoor, indoor or dark environments. The analyzer’s vibration meter mode allows simultaneous measurement of acceleration, velocity, displacement, and acceleration crest factor. The built-in FFT analyzer mode turns the instrument into a powerful frequency analyzer for pinpointing vibration sources with greater accuracy. 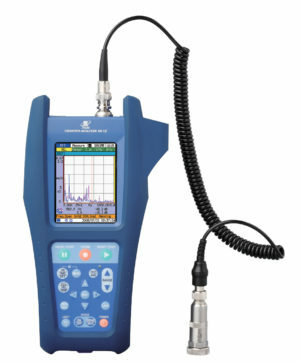 The AS-70 Waveform analysis software reads data from Wave files and offers a wide range of functions, including graph display, level processing, frequency analysis (FFT analysis and octave band analysis), file output and playback.